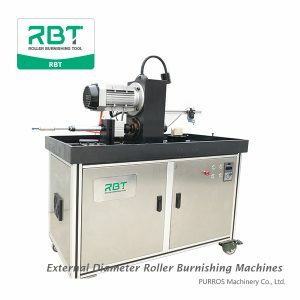 RBT provides external roller burnishing machines forming and finishing workpieces in a diameter range from 3 to 25 mm in seconds. The external roller burnishing machines provides own feeding speed which is needed while it is processing the workpiece. External roller burnishing machines makes the finishing of shafts and other cylindrical components simply.